Palliative care is support for a patient that is aimed to treat and relieve symptoms and improve the overall quality of life for the patient. This differs from hospice care because hospice care concentrates on pain management at the end of the patient’s life. Though palliative care was thought to only benefit late stage mesothelioma patients, recent studies have shown positive results starting care as early as post-surgery, radiation, chemotherapy, or immunotherapy. In 2016, the most common issues addressed in this type of care include pain, weakness, difficulty breathing, reduced appetite, and poor well-being. For patients that are diagnosed with Pleural mesothelioma, there are two different palliative procedure options available. Those two options include a pleurodesis and a thoracentesis. Both operations remove fluid through a tube and relieve pressure on the lungs. Along with fluid removal, a pleurodesis eliminates the available space in the lungs where fluid can build up by using a talc-like substance to fill up space. This is a more permanent fix to the problem. Pleurodesis differs from thoracentesis because thoracentesis only involves the removal of the fluid and is normally used for patients in the later stages of mesothelioma. As a result of both surgeries, coughing should become less frequent and breathing should become easier. All patients do not qualify for the same treatments. This is why it is so important to be diagnosed early on instead of when symptoms arise. Patients do not qualify for a pleurodesis if their mesothelioma is in the later stages. If the patient has a trapped lung, not allowing the surgeon to get in between the two layers of pleural lining, this procedure will not be effective. 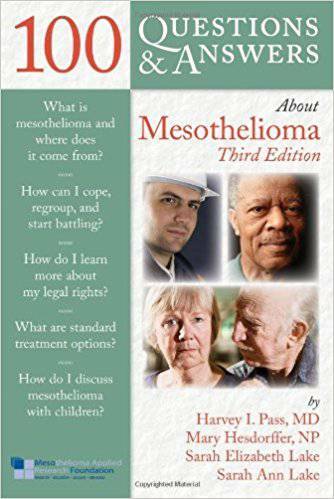 Normally, the patient must be in overall good health with mesothelioma that has not yet spread to other areas of the chest or abdomen. Patients with a relatively shorter life expectancy will not be recommended for this surgery due to the hospital stay and discomfort involved in the post-surgery recovery. There are two different types of pleurodesis procedures. Those types are chemical pleurodesis and mechanical pleurodesis. The chemical procedure uses talc powder which is a medical grade, sterile, asbestos-free clay mineral. The talc is inserted into the pleura using thoracoscopy tools. The mechanical procedure is the process of fusing the two layers of the pleura together by irritating them with a rough pad or gauze. The mechanical procedure is more invasive but has been reported by a study in 2015 to be greater in symptom relief. Though complications are rare when addressing surgical palliative care, there are still a few risks. The most common complication is a collapsed lung, occurring only when the surgeon mistakenly punctures a lung or disturbs an accumulation of air in the pleural cavity. Other complications may include bleeding, pain, infection, Diaphragm injury, laceration of spleen or liver, or tumor seeding. Tumor seeding is an invasion of cancer cells along the needle track.